In the world of mobile gaming, it seems like keeping an eye on what Nintendo is doing has become the favorite spectator sport of many. February has been a particularly dramatic month as Nintendo’s profits are falling and they’ve got concrete plans in place for bringing limited amounts of the Nintendo ecosystem to iOS. It’s no secret that Nintendo has been dabbling in microtransactions on their own platforms, but today marks the day of the release of the first game released by Nintendo which straight up features a Candy Crush style lives system and monetization scheme. 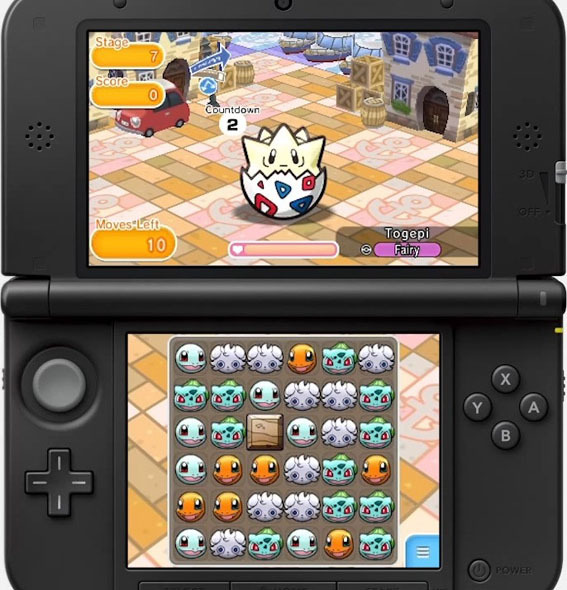 Pokémon Shuffle is currently available on the 3DS eShop in both Japan and Europe as a free download (and likely will appear on the US eShop around noon today). The easiest way to describe the gameplay is Pokémon distilled down to a match three. You’re matching Pokémon gems to battle (and catch) wild Pokémon. The Pokémon you catch can then be brought along for subsequent match three battles, and level up as well as eventually evolve in the process. Each battle, much like Candy Crush has a limit to the number of moves you can make, and failing to complete the level under that limit burns one of your five lives. Lives take 30 minutes each to recharge. In the iOS world, this kind of thing is nothing new. I’ve probably got a dozen different games on my iPhone right now that utilize this mechanic to limit progress and spur monetization. For iOS gamers, this is totally normal. For 3DS gamers, however, this sort of thing is straight out of crazy town. The whole selling point of having something like a 3DS is for the kind of buy once and play forever titles most of us grew up with which never have any kind of weird timers or monetization tricks reeling you in. It gets weirder too- I just bought a New 3DS XL along with Majora’s Mask and Monster Hunter. For me, the 3DS is the portable I bust out when I want to get involved in an extended gameplay session, investing my time on titles that have loads of depth. This seems to be the prevailing mindset in the 3DS thread on our forums too. iOS is great for quick pick up and play stuff, and while I play the crap out of Candy Crush on my iPhone, that type of game just isn’t something I’m even remotely interested in on my 3DS. 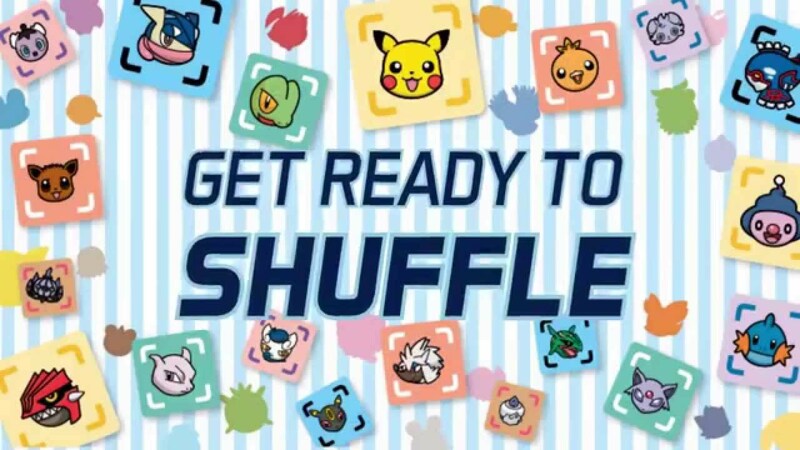 A Eurogamer first impressions article on Pokémon Shuffle mentions the first play session (largely due to free premium currency doled out like any free to play game) lasted 45 minutes, with subsequent sessions being shorter than that. It’s interesting to watch Nintendo try to figure out what to do to continue to be relevant in mobile, I’m just not sure this is it. When I sit down with my 3DS, I’m playing Zelda for an hour. When I unlock my iPhone, I might play Candy Crush for five minutes. My iPhone is always in my pocket, and perfectly fills those gaps of time where you’re in line, or waiting for takeout, or something. My 3DS sits on the charger until I grab it to sit down and truly get invested in a game. As mentioned before, I’d think most mobile gamers (people who have some kind of smartphone and a Vita and/or 3DS) have pretty similar habits. The wildcard here is that this is a Pokémon game, and that’s a bad horse to bet against in any situation. It seems like a cool game, it’s just the wrong platform. If I could get Pokémon Shuffle on my iPhone, I’d probably spend the next year playing it. On the 3DS though? I’ll download it for the sake of curiosity but my 3DS is used for very different things that don’t involve waiting for timers to get more lives. I’m not sure Nintendo’s salvation lies in Pokémon Shuffle, but it’s fascinating to see them trying.